Red Bean Cakes are a popular Taiwanese dessert made from a waffle-pancake like batter and cooked in special cast iron pans. 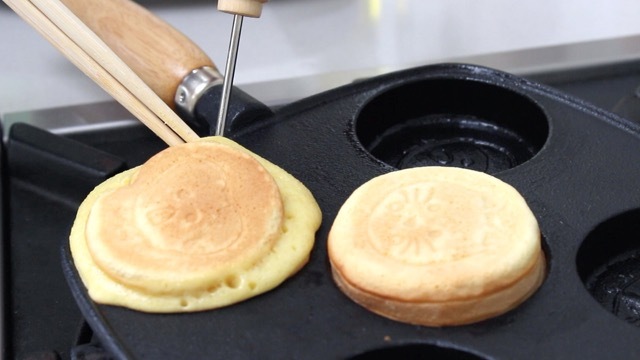 Originally a traditional dessert from Japan, their version is called Imagawayaki (or Obanyaki). On my last trip to Taiwan, I was so lucky to have found one of these traditional pans at a DIY / kitchen shop in Taipei. Known in Mandarin as 紅豆餅, or car wheel cakes in Taiwanese, these circular shaped cakes are crispy on the outside and filled with a traditional sweetened red bean paste filling. In Taiwan, food stands are now selling these in various flavors from pudding filled to savory curry and radish wheel cakes. Where to buy the equipment? If you live in the US you can find a few options for these pans here. 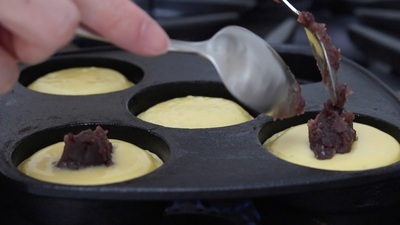 You can also watch my mini-unboxing of the pan I used in this recipe at the end of my video. Note: I used Bob's Red Mill Cake Flour in this recipe and it worked really well. 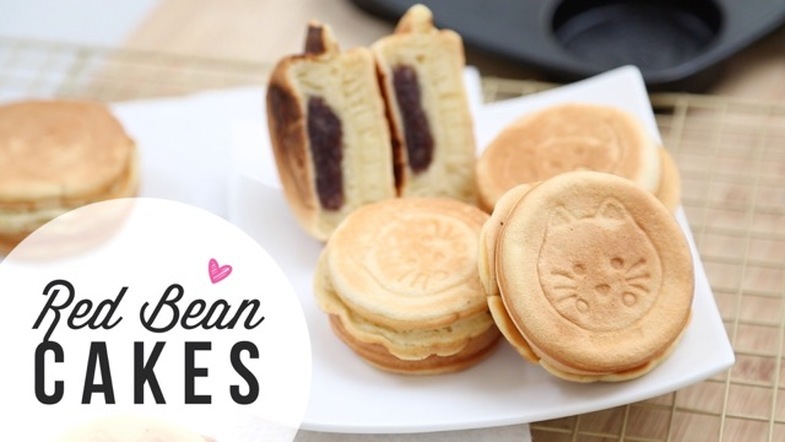 The red bean cakes turned out really soft and delicate. Cook Time = 10 mins. Sift together the dry ingredients before adding the eggs and rest of the wet ingredients. Mix well until smooth. Strain (if needed). 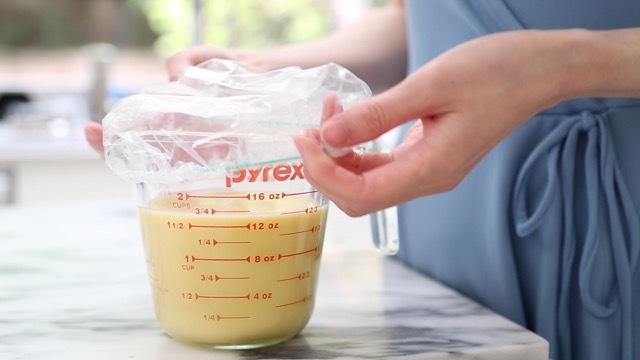 Let the batter sit in your refrigerator for at least an hour (or you can let it sit overnight). 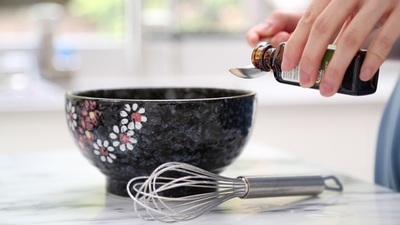 This helps with removing any small air bubbles that may have formed when mixing. If you can't wait, it's also okay to just go ahead to use the batter immediately after mixing. 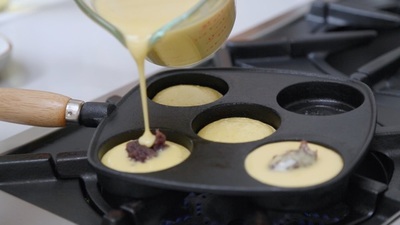 Cook the batter and filling following the method and steps in the video.